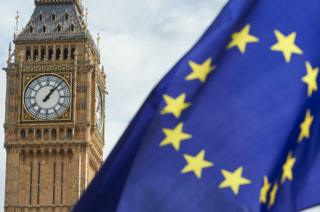 EU withdrawal bill: What challenges await the government? After being defeated 15 times in the House of Lords, the Brexit bill - or EU Withdrawal Bill to give it its formal title - will return to the House of Commons next Tuesday.It's set to be a marathon session, with up to 12 hours of debate. With so much to cram in, what potential flashpoints and challenges will the government have to faceWhat is it? The Bill is a very important piece of legislation that will repeal the 1972 European Communities Act (which took the UK into what was then known as the European Community) and copy all existing EU legislation into UK law in order to prevent chaos on the day we leave.It has also provided Parliament with an opportunity to shape the course Brexit will take. For instance, in December 2017, MPs voted to amend the Bill and ensure Parliament has a legal guarantee of a vote on the final Brexit deal struck with Brussels. The Bill then went to the House of Lords where peers defeated the government another 15 times and voted for their own changes to the Bill. Now, in the final stage of the Withdrawal Bill's passage through Parliament, those changes will be considered by MPs in a rammed day of potentially dramatic votes on 12 June. Reality Check: Why is the customs union so important? Because if enough Tory MPs decide to vote with Labour and other opposition parties, the government could be defeated on several key votes. Theresa May's tiny working majority in the Commons is only 14 and that relies on the support of Northern Ireland's Democratic Unionist party and their 10 MPs.Last December, 11 Conservative MPs voted with opposition parties to defeat the government by only four votes and the question is how many will do so next week.Number 10 has insisted it wants to overturn the Lords amendments, but it might struggle with two of them in particular that deal with Parliament's role at the end of the Brexit negotiations and the UK's future customs arrangements. While the Cabinet has been trying - and struggling so far - to work out a proposal to put to the EU on the UK's future trading relationship, Parliament has been doing its own thinking. The House of Lords said ministers should take steps to negotiate a new customs union with the EU - something Number 10 has ruled out. Peers passed an amendment requiring the government to demonstrate to Parliament by October that it had tried to negotiate a customs union. Remaining in such an arrangement after Brexit is now Labour's position and a number of Tory MPs (probably more than the 11 who rebelled in December) are sympathetic to the argument that a new customs union could be the best way of reducing border friction after Brexit. The question is whether they rebel against the government on Tuesday or wait until after the European Council summit later this month, when they could try to amend the Trade Bill instead. A defeat for Mrs May on this next week would certainly be a blow for the government but it would not bind its negotiating hand.The fuzziness of the amendment's wording might mean the government just accepts it and ducks the possibility of defeat. However, that would also amplify the sense there is currently a hole where the government's own customs plan should be. But hasn't Labour put down its own amendment on the single market? It has, calling on ministers to negotiate a new "single-market deal" to ensure "full access" to the EU's internal market.Labour hopes this will send a signal to voters that it would try to bind the UK much more closely to the single market than the government. But Labour's leadership also hopes this new amendment will limit the rebellion among its ranks on the Lords' European Economic Area (EEA) amendment. Labour will whip its MPs to abstain on that vote but we could still see dozens of Jeremy Corbyn's team back the "Norway option" of single market membership because they don't think their party's new amendment amounts to much. For a start, Conservative MPs would never vote for a proposal put forward by the Labour front bench. Secondly, they argue that participating in the EEA is the only way to gain membership of the single market and that anything else is merely posturing. Labour is navigating its own internal divisions over Brexit. Which amendment is the government fretting about most? Probably the one that beefs up Parliament's role when the negotiations with the EU have finished. MPs have already said there must be a "meaningful vote" but the meaning of that isn't clear. The government says it will be a take it or leave it moment for Parliament to either accept or reject the deal on the table. But the Lords amendment would give Parliament the power to stop the UK crashing out of the EU without a deal and give the House of Commons the right to decide what course of action the government should then take. How that would work in practice remains unclear but if the Commons approves this amendment next week it would be a big setback for Number 10 and proof that Parliament is taking greater control over Brexit. But Brexiteers would see the same result as threatening to weaken Mrs May's negotiating hand with Brussels ahead of the EU Summit.